Under the heading: “Digitalisation:connecting systems for intelligent manufacturing”, 2,200 companies from 45 countries will show their new products. With 75 companies and 6,960 sq.m., Spain will be the sixth participating country in terms of occupied surface area. 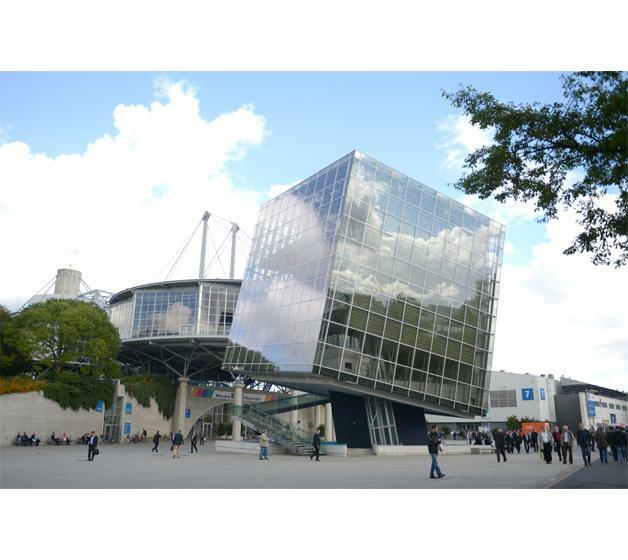 The EMO HANNOVER Fair will open its doors from 18 to 23 September. It is the largest international machine tool industry fair and its main slogan will be “Connecting systems for intelligent manufacturing”. The expectations of the organisation are very positive, thanks to the increase in exhibiting firms, whose numbers reach record figures. An area of more than 180,000 sq.m. will hold the exhibition of the main advances in the field of advanced manufacturing, with 2,200 companies from 45 countries. 75 Spanish manufacturers of machine tools, components, tools, accessories, hardware and industrial supply will attend this new meeting of the sector with an impressive technological deployment, which will occupy almost 7,000 sq.m, becoming the 6th country in the ranking of presence in metres. Since 1975, when the first fair was held, AFM, Advanced Manufacturing Technologies, has been organising the group presence of Spanish advanced manufacturers that attend with their most advanced solutions in advanced manufacturing. Antxon López Usoz states: “The great effort made by our companies is reflected in the ground-breaking solutions, top-class equipment and innovative proposals for our customers. The group presence of AFM companies would occupy all the space of a medium-sized fair. The technology deployment that we are going to experience places us on a par with the best manufacturers”. To support the effort made by the companies at EMO HANNOVER, on behalf of ICEX, Iñigo Gil Casares, Director of the Industrial Technology and Professional Services Division, together with Sonsoles Huidobro, Head of the Capital Goods Department, and Pilar Muñoz, Trade Advisor of the Spanish Economic and Commercial Office in Berlin, will visit the Spanish manufacturers. The fair will also be attended by the Director General of SPRI, Alex Arriola, and the Technology and Innovation Director, Aitor Cobanera, together with the Economic Development Commission of the Basque Parliament. The Minister for Economic Promotion of the Regional Council of Guipuzcoa, Ainhoa Aizpuru, together with the Director for Economic Promotion, Antton Tomasena, and the Director for Innovation, Garikoitz Agote, will also travel Hannover, to visit the Guipuzcoa manufacturers. During the show, more specifically on Wednesday, 20 September, the coming 30 BIEMH, which will take place in Bilbao from 28 May to 1 June 2018 will be presented. In fact, the international campaign will start up at the EMO. The BIEMH will be presented with an image that focuses on industry 4.0 and on intelligent manufacturing, with a tour that includes three exhibitors that will also be present at EMO: Juaristi, Correa and Zayer.